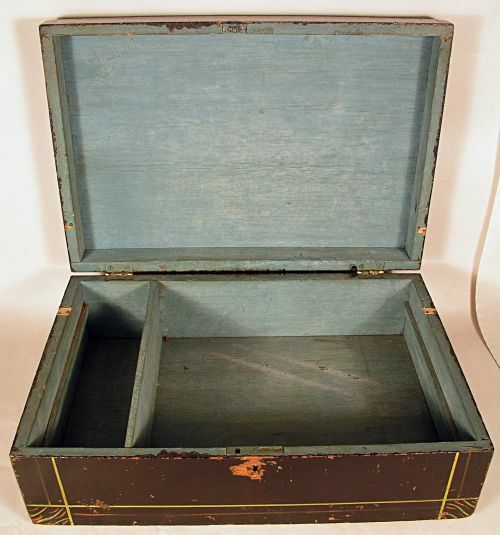 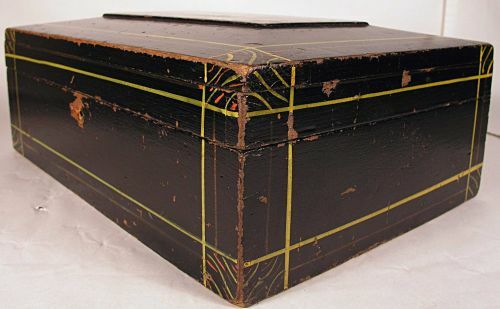 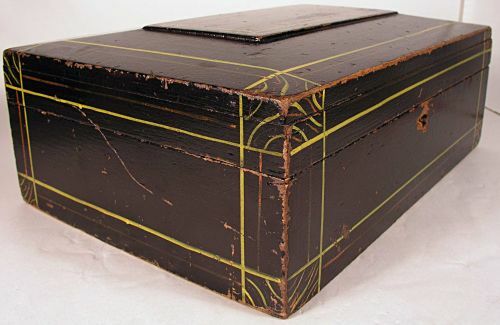 Black Document or Sewing box with Red and Yellow pin striping and Blue painted interior. 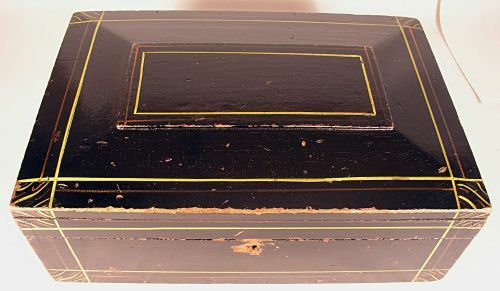 Dovetailed construction with original lock. 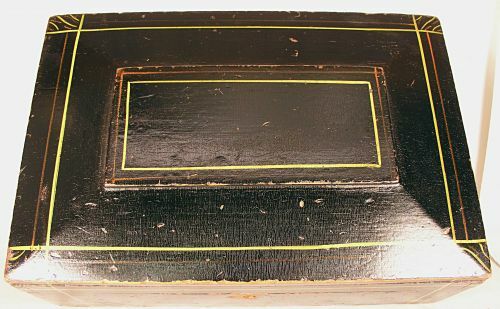 Great condition with only minor wear.